Shake up your summer and hop on board the Cocktail, a 2013 Salona 38. This fantastic boat, based in Primosten, features 3 double bed cabins and 4 additional berths in its spacious salon, a fully equipped and a 1 bathroom. 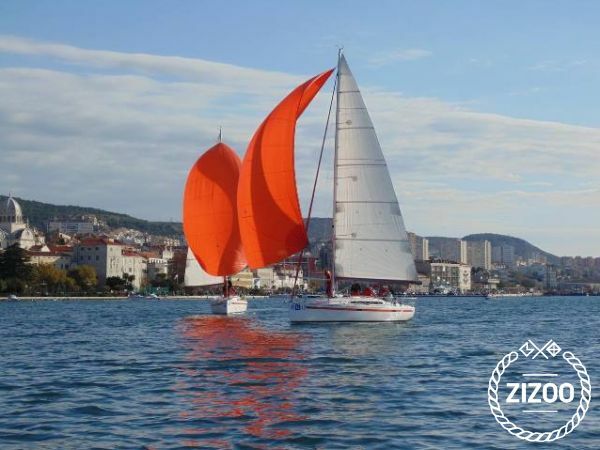 Sail the Adriatic Sea in style as you get behind the hull and race the waves to some of Croatia's most spectacular destinations. Visit the beautiful islands of Hvar and Vis, explore the picturesque towns of Trogir and Sibenik, and indulge in some fantastic traditional cuisine. Anchor in secluded bays, distant coves and hidden beaches and soak in the Dalmatian sun or dive into the gorgeous blue waters and explore the sea life beneath. Enjoy a glass of local wine such as Posip, Dingac or Mali Plavac, known world wide as top class selections. Or feast on fresh seafood and delicious figs. There is also a wide array of traditional dishes that can be tasted in many of the local restaurants. For help in planning your sailing holiday in Croatia, please contact the local charter crew.